Get a Free Drink With Your Next Meal! 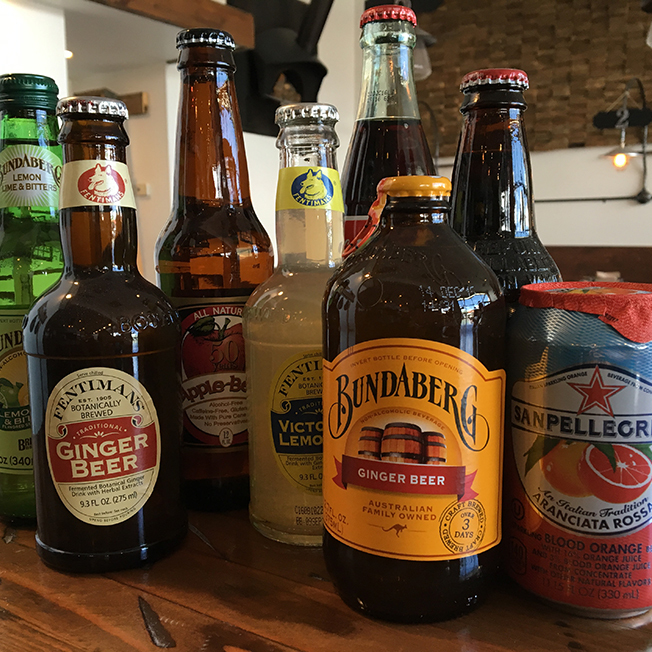 Join our Pizza Club today and we will give you a FREE drink with your next meal. Just sign up for our club by entering your email address in the form below, then we will send you a coupon in your email. Bring the digital coupon in on your next visit and we’ll give you a free drink. It’s as simple as that! to get your FREE drink! 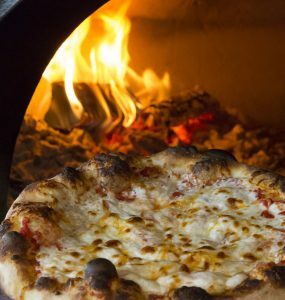 A pizza of sacrilege to any Naples local, but don’t feel guilty. 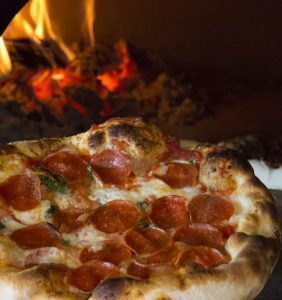 You are buying pizza that started in an Ace parking lot. This pizza is a Margherita with pepperoni. Naples flavor with American taste. A true smoky BBQ western with cheese and all the fixins’. 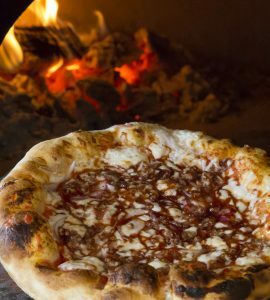 This pizza has red sauce, mozzarella cheese, smoked bacon, red onion, and it’s topped with Sweet Baby Ray’s BBQ sauce and cracked pepper. Eat a whole grapefruit after this one because it’s smothered in garlicky goodness. Get it if you’re a garlic lover, get it if you’re not. This pizza is topped with red sauce, mozzarella cheese, cheddar cheese, fresh garlic and Kosher salt.